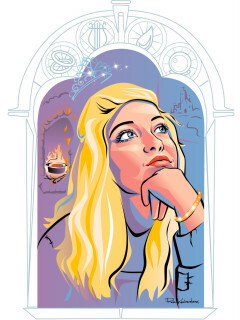 This very un-Disney version of the well-known fairy tale will be enjoyed by all ages. Cinderella is called Angelina, the stepsisters are simply ineffectual buffoons, and there is a stepfather instead of a stepmother. There is plenty of humor in this treatment to show us that pretentiousness is silly, and those pure of heart will – in the end – find each other. The prince is wise enough to switch identities with his servant as they search for the beautiful girl who came to the ball. This way he can observe who has real character and who is, well, trash.